Namibia is a beautiful country that sits in the southern part of Africa. The country has a breathtaking landscape that is dotted with glorious mountains, the Fish River Canyon, gold-grass plains of the Kalahari and wildlife. All of these make Namibia an interesting tourist destination. 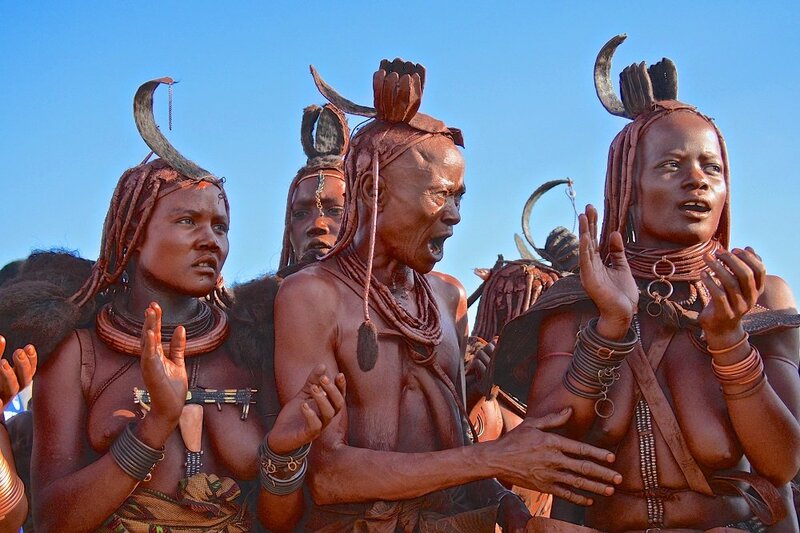 However, the peculiar custom of the Himba tribe in Namibia has brought her to the international spotlight, especially in recent times. What makes them popular involves not just their interesting custom, but also their way of life, clothing and economy. The Himba people, also regarded as the Omuhimba or Ovahimba people, live in northern part of Namibia, especially in the Kunene region. 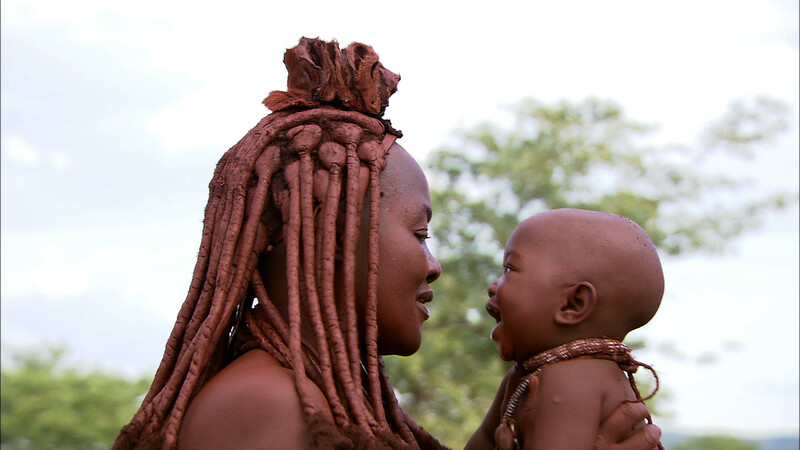 They are said to offer sed for free and adorn newborns with beaded necklaces. Although the Himba people engage cooperatively with neighbouring tribes, they live in seclusion and are wary of external contacts. This is their way of resisting contamination to their beliefs and culture. 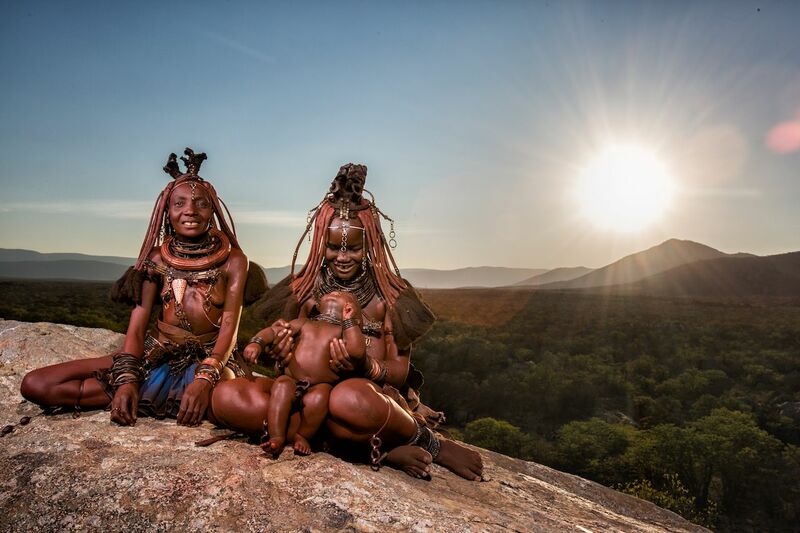 Himba is one of the warmest tribes in Africa and they are courteous to strangers and visitors alike. They, however, frown at anything that will threaten their cultural values and traditions. The Himba people are predominantly farmers. They raise different breeds of livestock especially goats, cattle, sheep, etc. The women collect firewood, search for potable water, cook and serve meals, and skillfully make things by hand. Some members of the tribe are religious and socially inclined, worshipping the gods of their ancestors. They can be polygamous, marrying many of their girls off at an early age. One peculiar thing about this tribe is that they do not take baths with water. This is mostly because of their harsh climatic conditions. The Himba people live in one of the most extreme environments on earth with the harsh desert climate and the unavailability of potable water. However, their lack of bathing has not resulted into lack of personal hygiene. Members of the tribe apply red ochre on their skin and partake in a daily smoke bath in order to maintain good hygiene.